The name fits their actions. On the surface, the Black Hand were official military personnel. In the shadow of that identity, the Black Hand were a secret Serbian Nationalist military group. For years, the secret society wielded an impressive amount of unofficial influence. They were well networked throughout the Balkans; dangerous, organized and powerful. 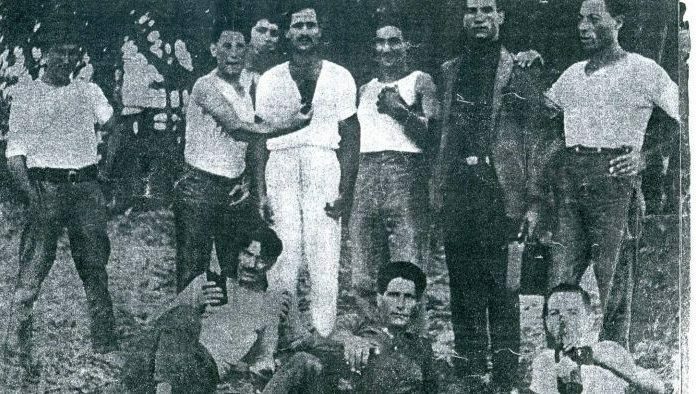 From their conception, the radical gang comprised of officers served in the Military Kingdom of Serbia. When they officially established themselves in 1911, many of their members were already part of another secret nationalist society led by a talented, fearless, well educated Dragutin Dimitrijević, also known as, Apis — and, “Holy Bull.” Apis would eventually use the Black Hand to commit their most infamous crime. Many scholars agree, that crime ignited World War I. A military captain, Apis first served as a professor of tactics at the military academy; he was acutely skilled. He served as the mastermind and leader of the Black Hand throughout the gang’s lifespan. The formation of the gang resulted after Apis encourage a number of his low ranked officers to align with him. He eventually led the group to conspire against their unpopular Dynastic rulers. Center left, Dragutin-Dimitrijevic Apis. Wikimedia. It was under Apis’ leadership that the officers gathered one June night by the Old Palace in Belgrade. With Apis ready to give orders, they waited in the darkness for their chance to assassinate the Serbian Royal Couple. That night, both King Alexander I Obrenović and his wife, Queen Draga were shot down. Not long after the King’s death, the Black Hand Gang took control of the army. This did not cause much of a problem until the Austrian Empire began expanding and asserting control over Serbian territories.